We had several ideas for the Museum of Capitalism, and started developing a project for a display of items used by workers as "coping mechanisms." One of these coping mechanisms was using bathroom breaks to capture back some private time away from your employers and your work. We weren't sure how to represent this, Francois wanted to create a "bathroom simulation." We liked the idea, but not the planned execution, so after talking it out, came up with the idea of re-contextualizing the actual bathrooms as an exhibit. Due to building constraints, we weren't able to create exhibits in the actual restrooms, which were also used by Sunset employees. Initial ideas of audio/visual presentations had to be scrapped for an approach that would allow people to take the exhibit with them into the bathroom. Our experience making zines was a natural fit for this approach. For our project UTOPS (Utopian Transformation of Public Spaces), we created a tri-fold brochure that we handed out to participants. Following is the text from that brochure. We're so thrilled to see the release of Allison Smith's book "The Cries of San Francisco," created in collaboration with Southern Exposure. We were part of this project back in 2011, and it changed A4DS in fundamental ways. 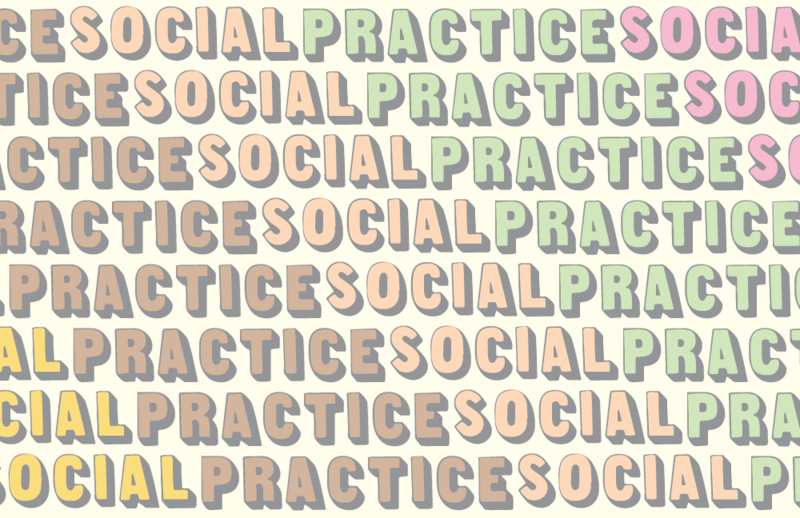 We're starting a new project in which we're trying to build a community of artists, curators, critics, and audience who are interested in social practice or socially conscious art. Each week or every other week we'll meet to discuss an article or book excerpt. Email us at artforademocraticsociety@gmail.com for more details or to RSVP. Art for a Democratic Society is a San Francisco Bay Area-based artist collaborative organization.